SAN DIEGO — A fisherman, who was proudly posing with the fish he caught in San Diego, was taken by surprise when a sea lion pulled him from his vessel and pushed him underwater earlier this month. According to several media outlets, the sea lion was apparently aiming for the fish but missed and caught the angler instead, pulling him about 20 feet below the waters of Hyatt Mission Bay Marina. The man was able to swim to the surface once the pinniped let him go. 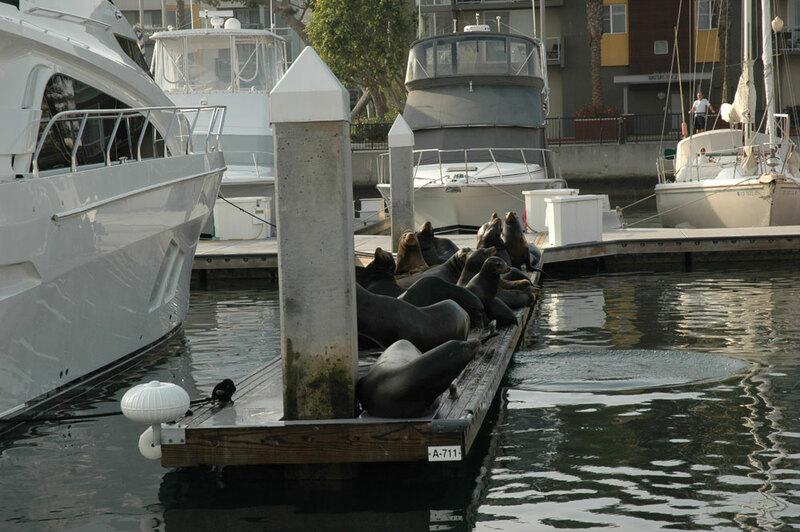 The 62-year-old man was posing with a “trophy fish” when the sea lion jumped on the boat’s railing and attempted to grab the fish, as reported by the Los Angeles Times. The sea lion than yanked the man into the water by his arm. He was reportedly submerged for 15 or 20 seconds. The angler was taken to the hospital to be treated for shock and cuts to his hands and feet, according to the San Diego Fire and Rescue Department. According to news reports, it is believed the 300-pound sea lion attacked the man because it was hungry.